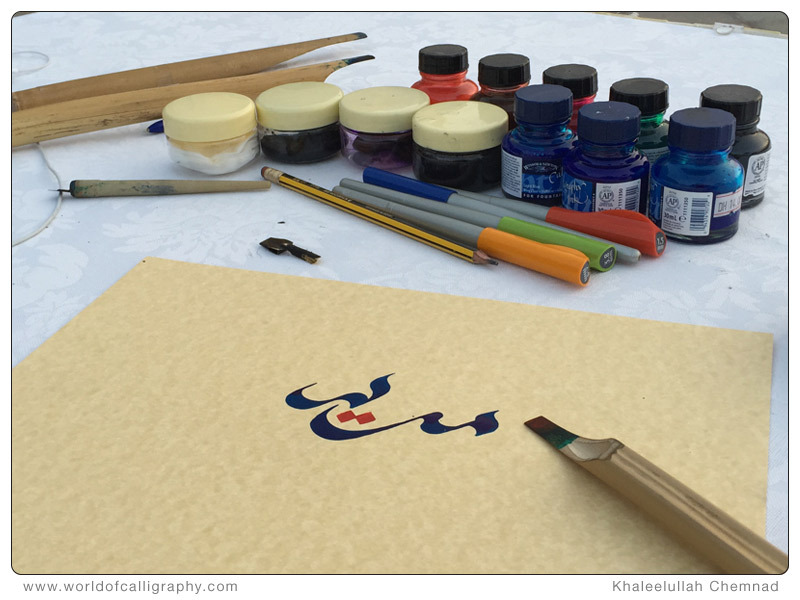 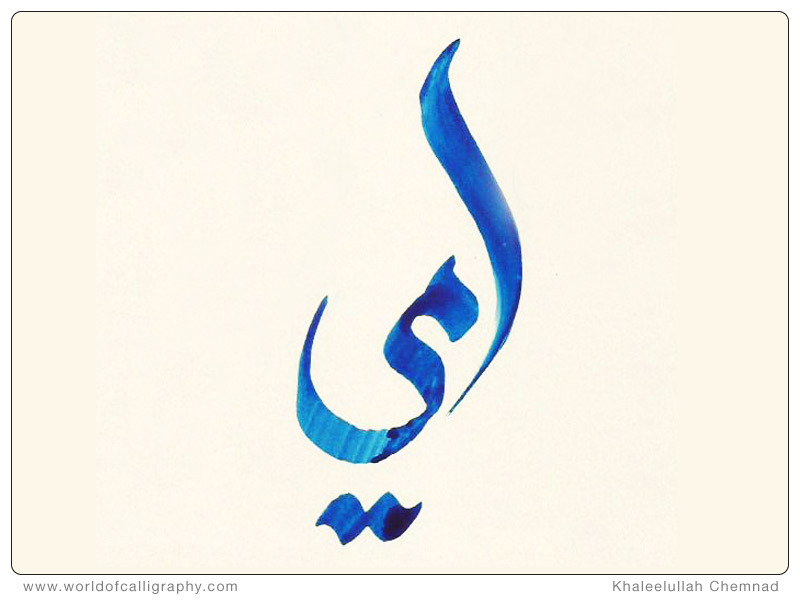 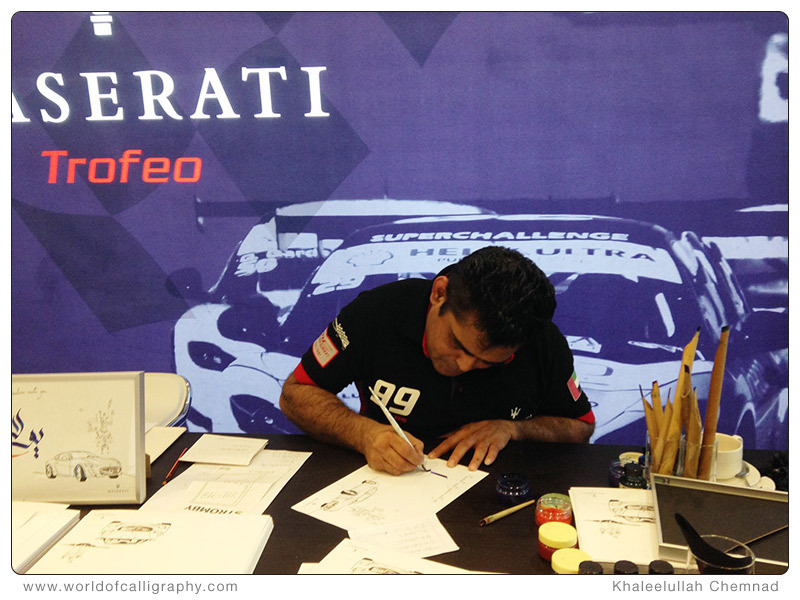 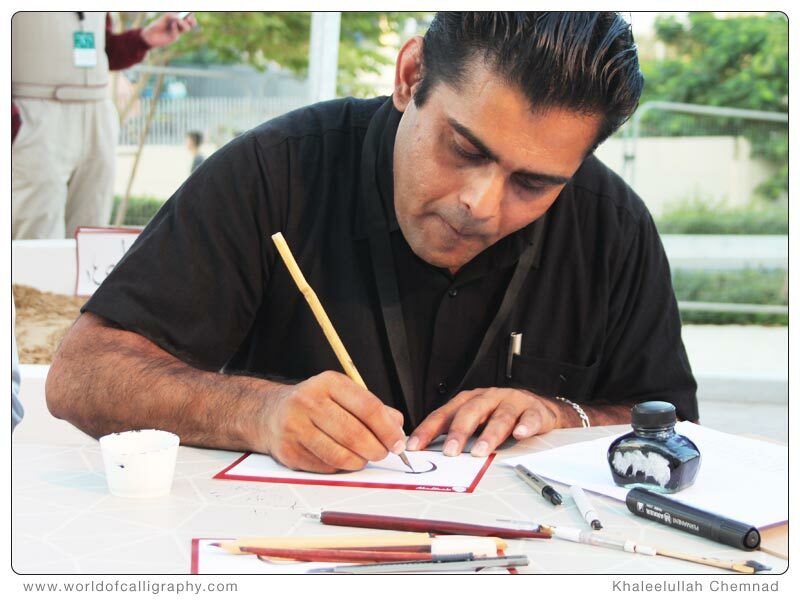 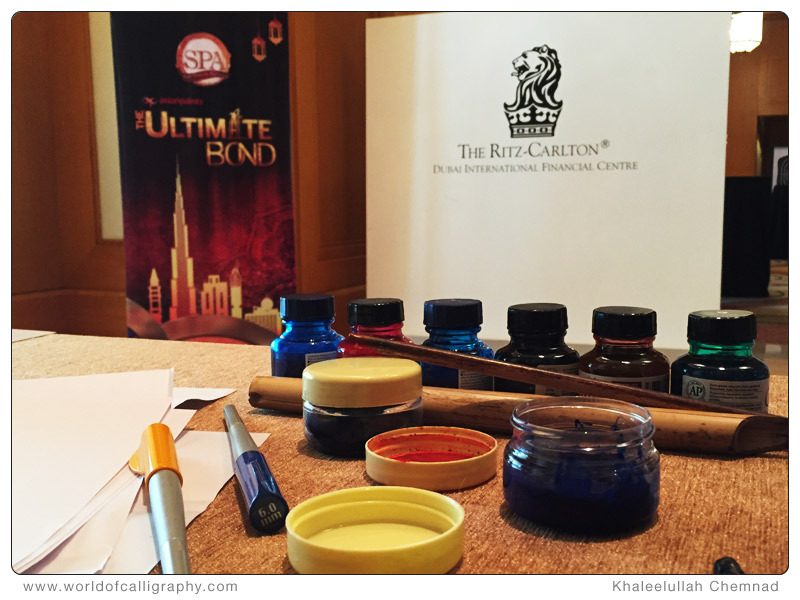 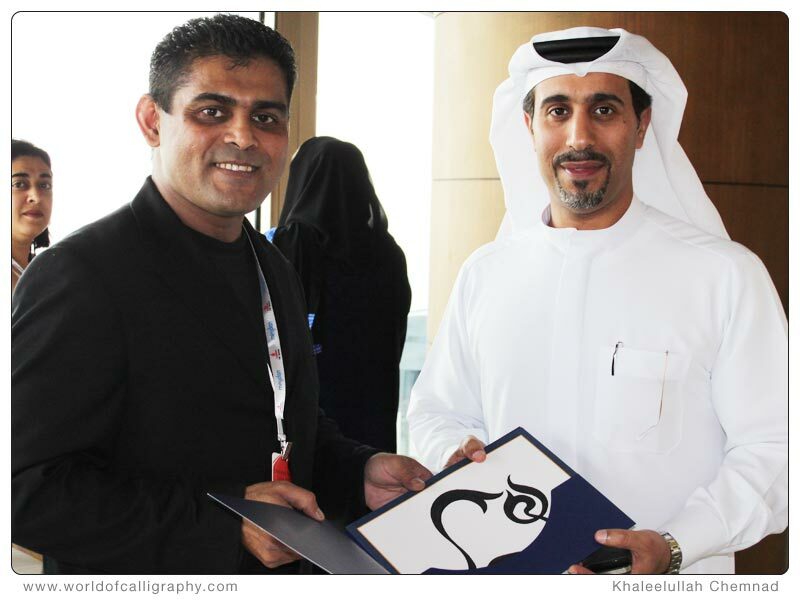 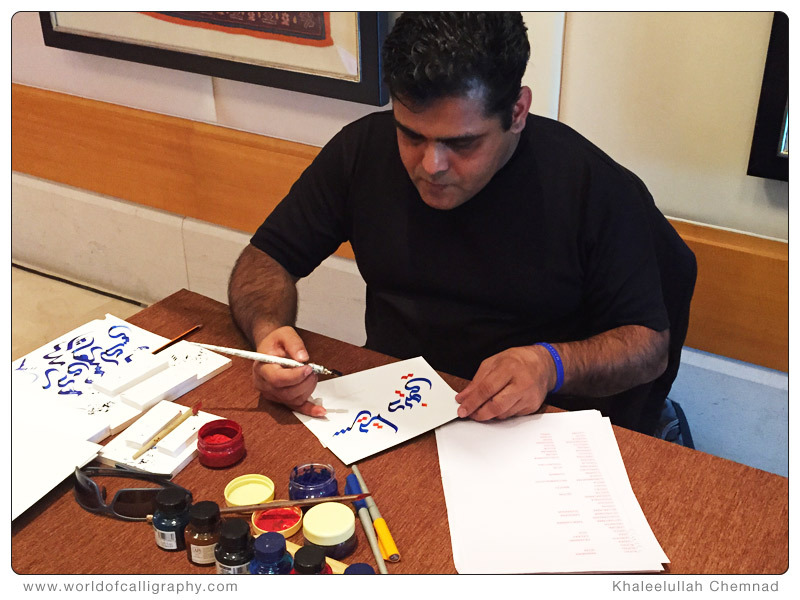 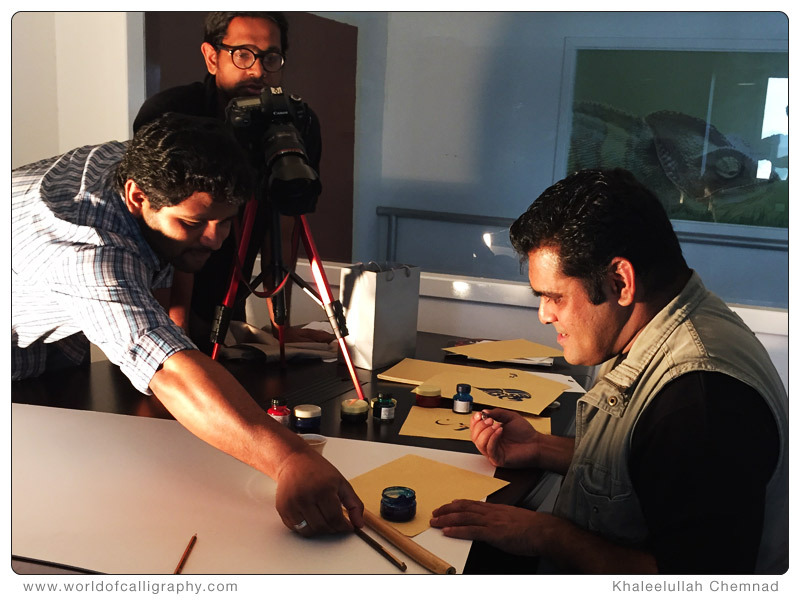 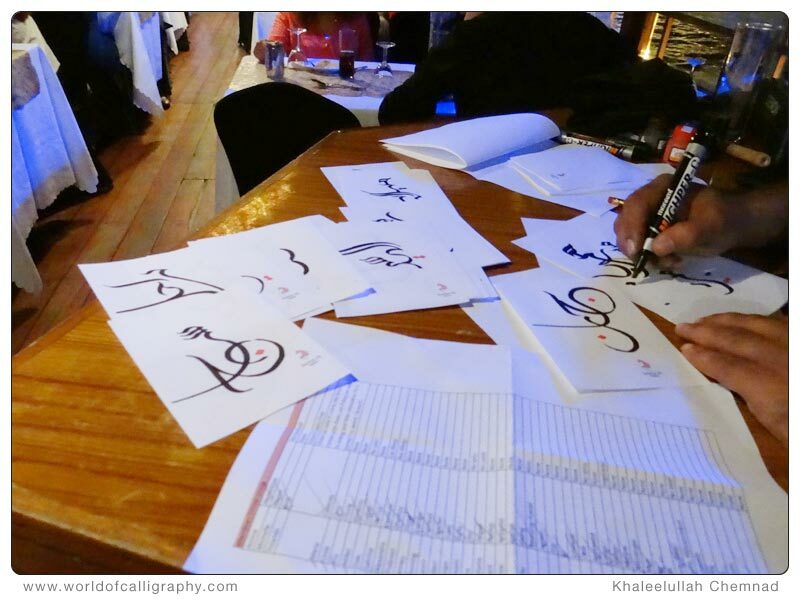 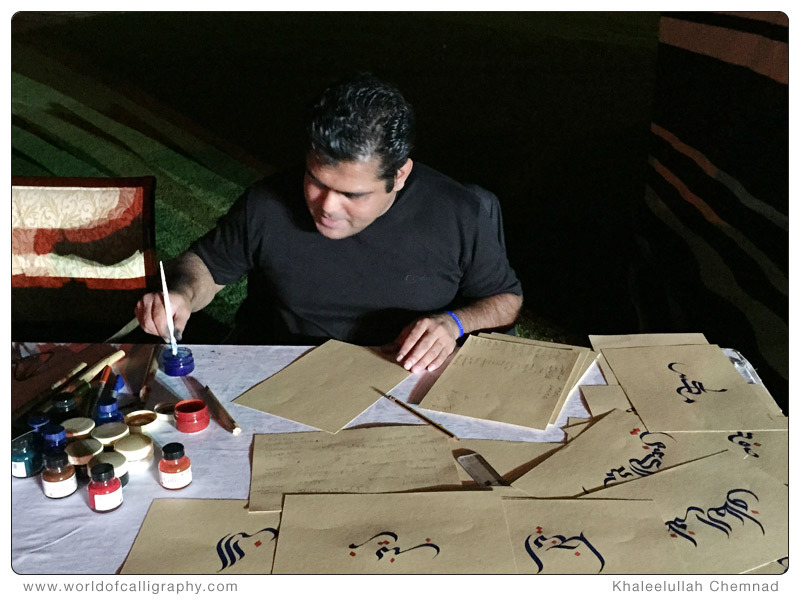 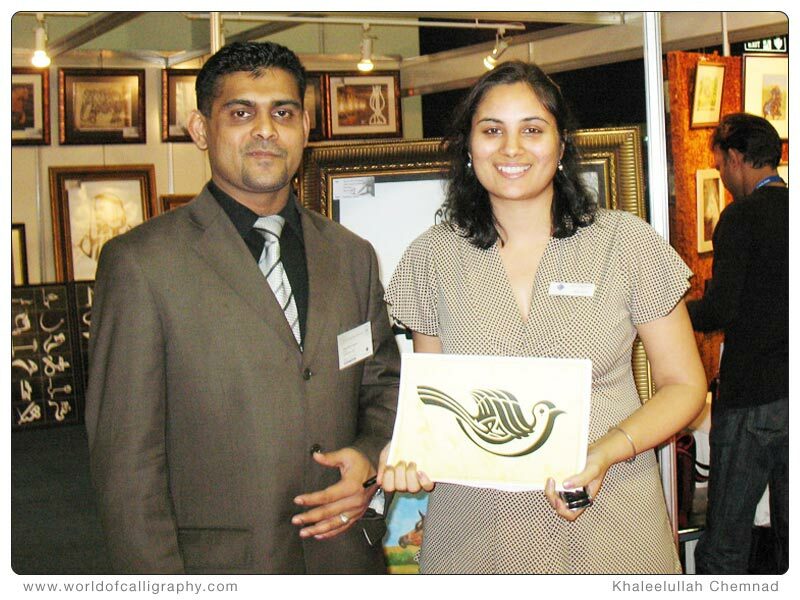 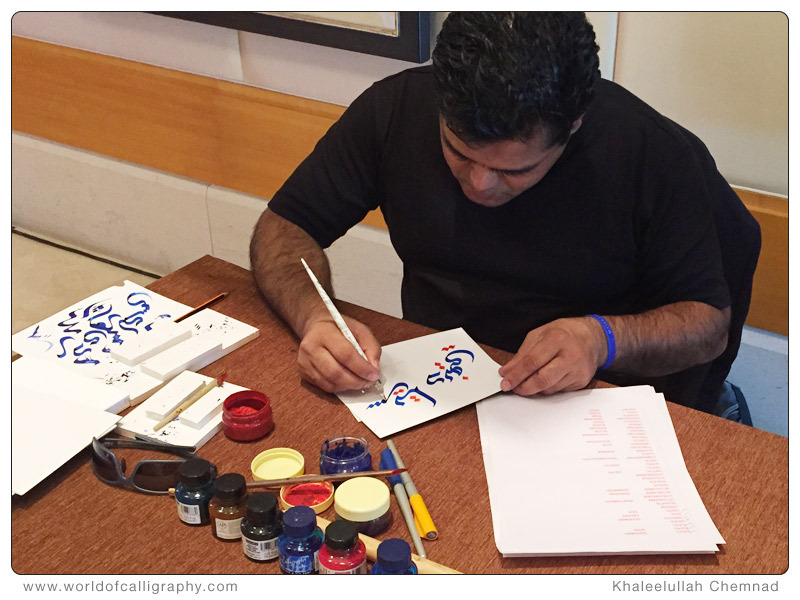 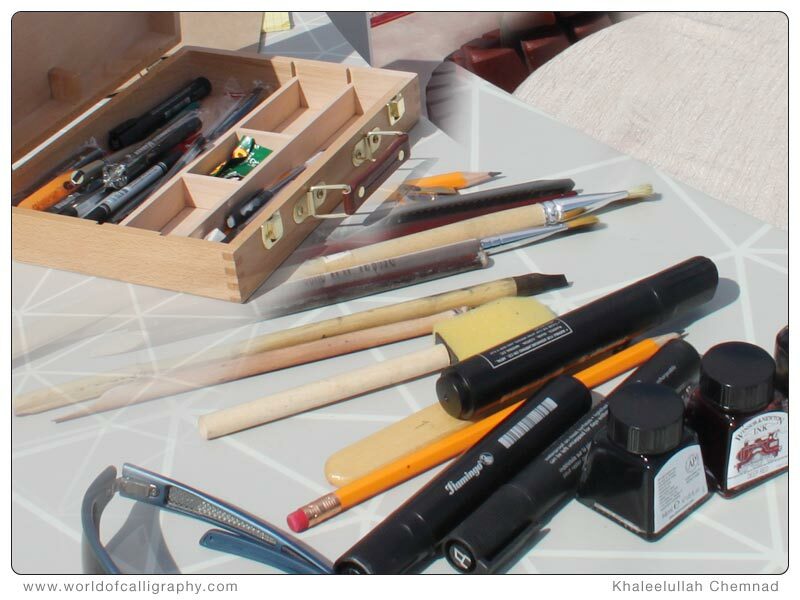 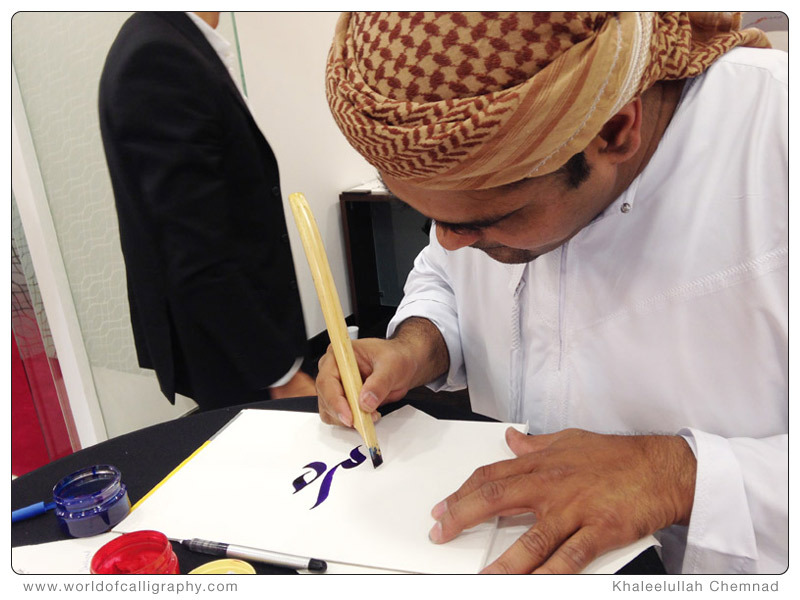 Arabic Calligraphy is an art which highlights UAE tradition and culture. 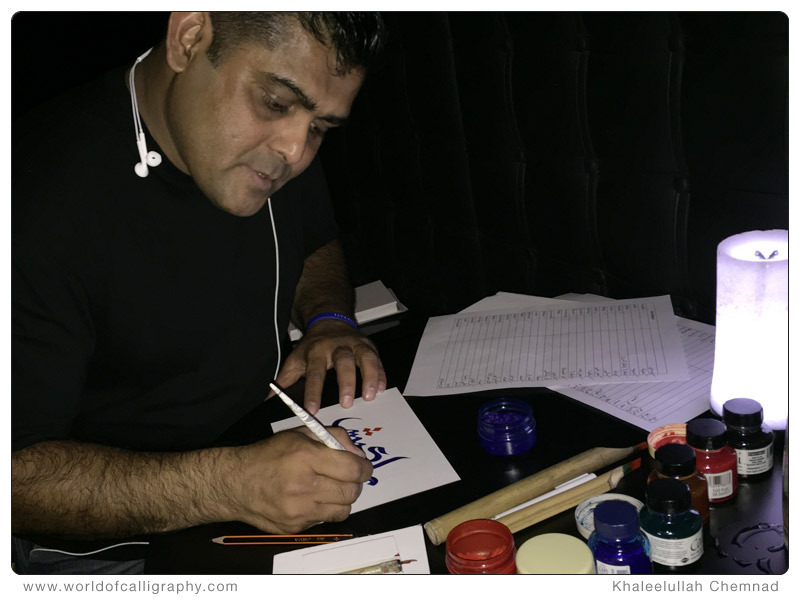 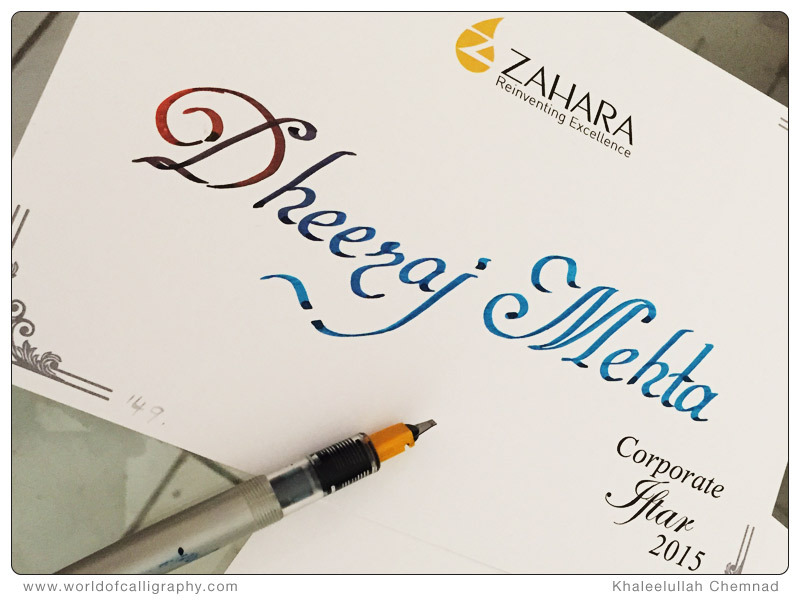 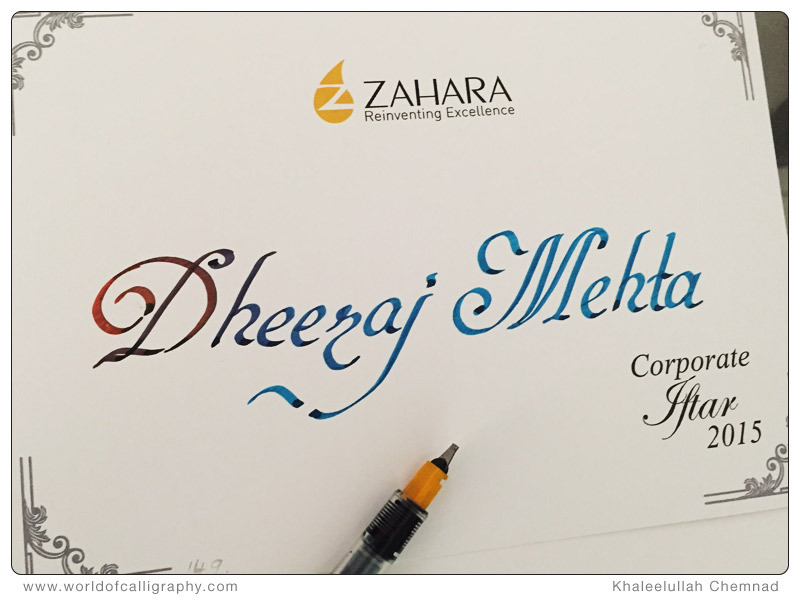 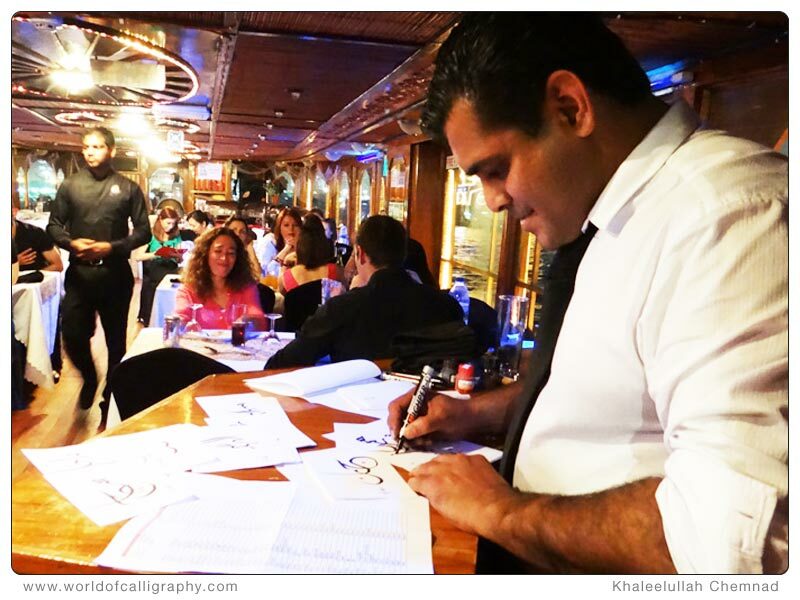 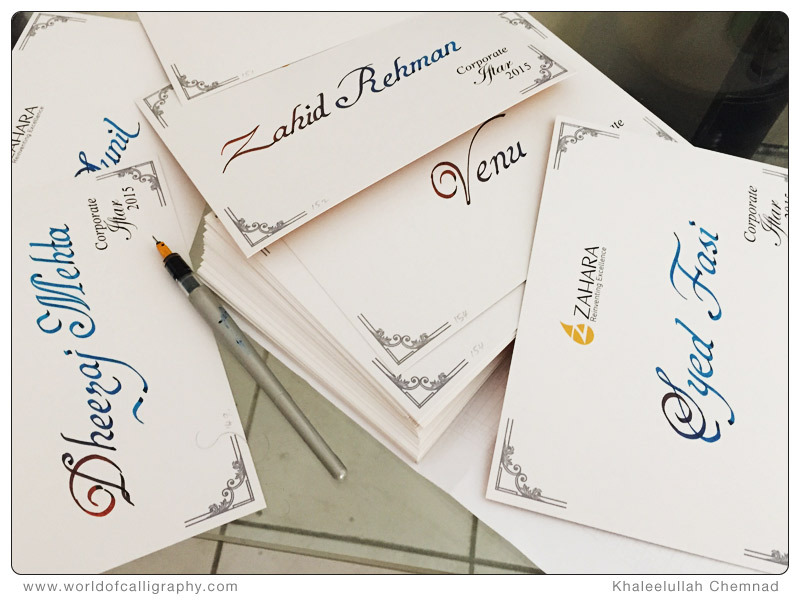 All event companies employ this art of decorative handwriting in all their events for writing the names of their guest. 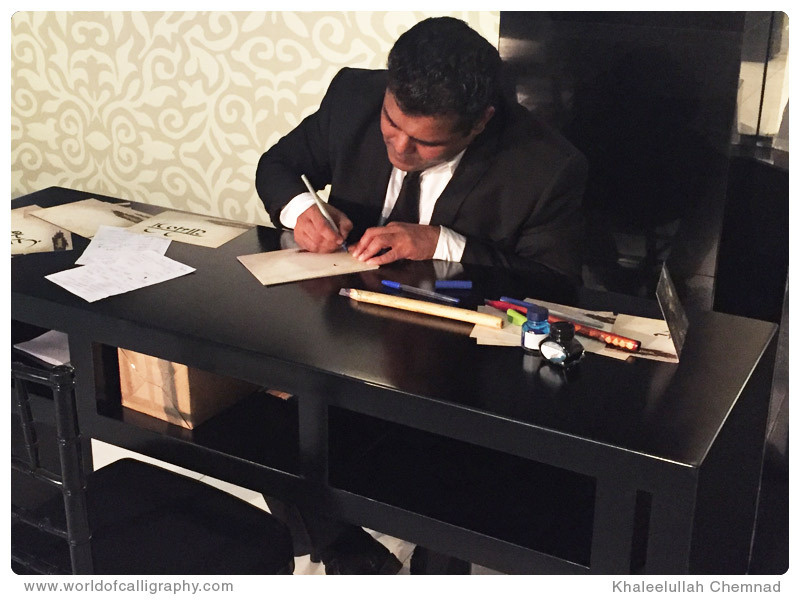 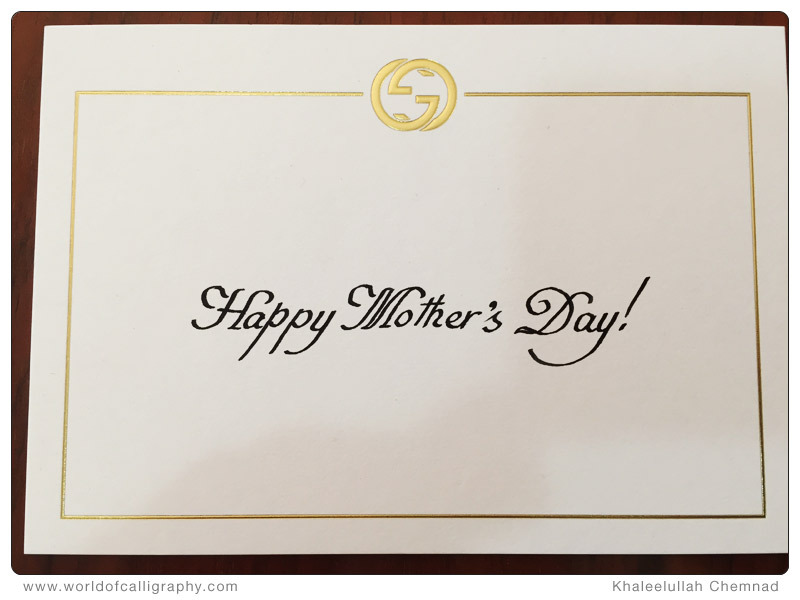 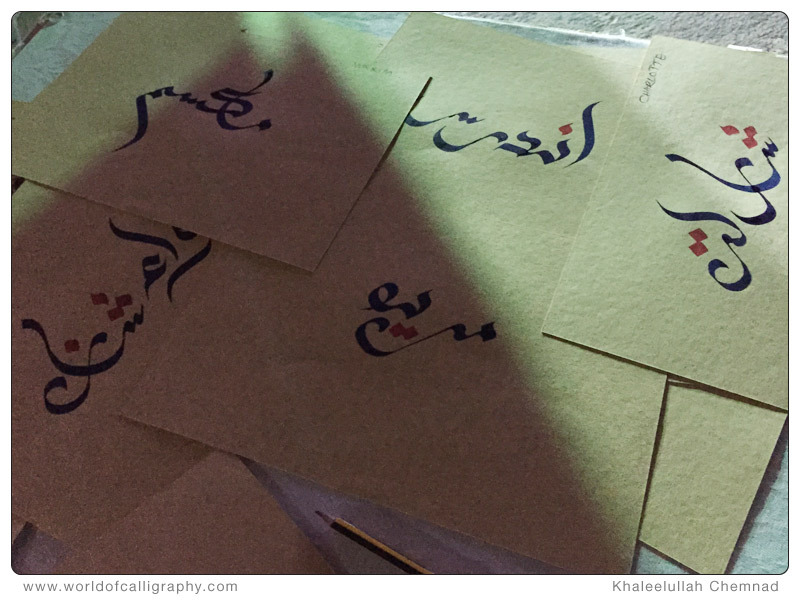 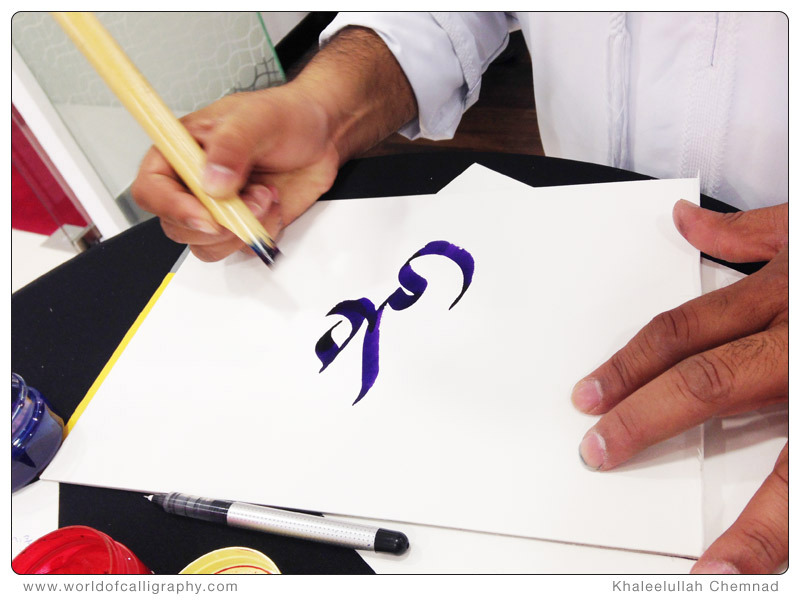 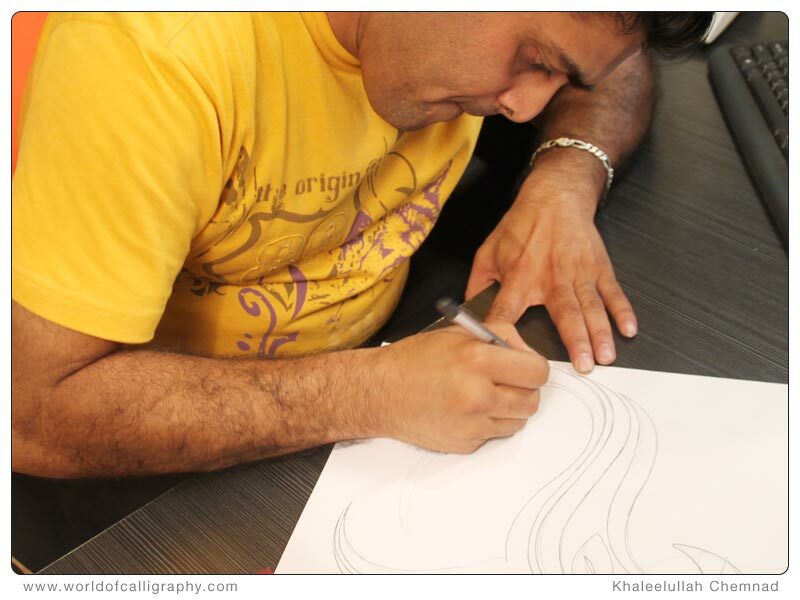 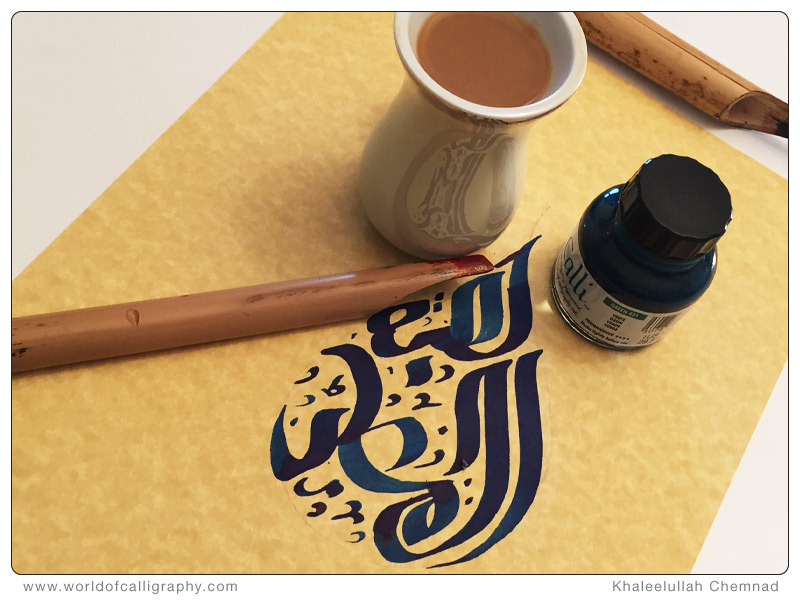 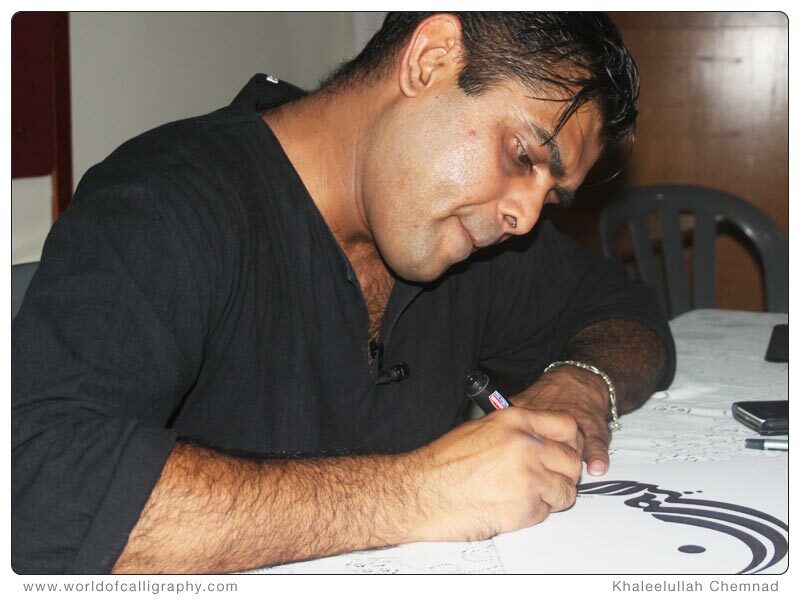 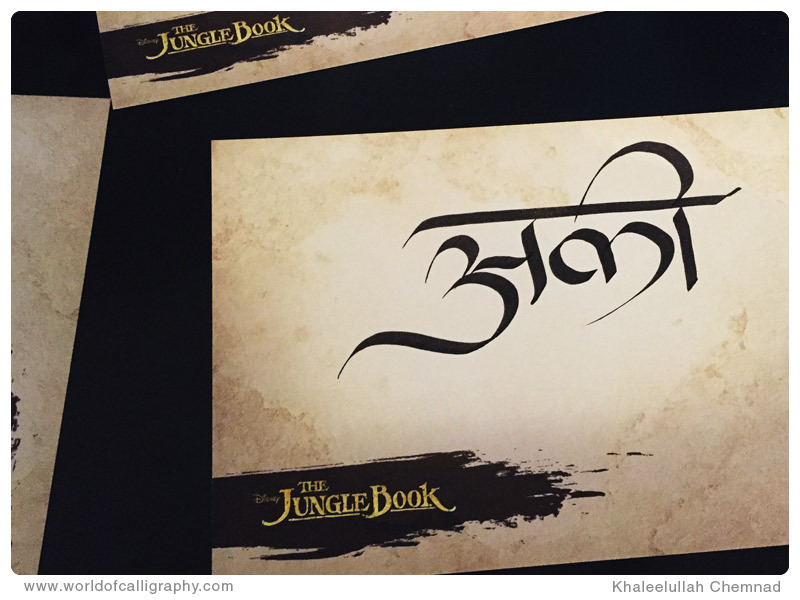 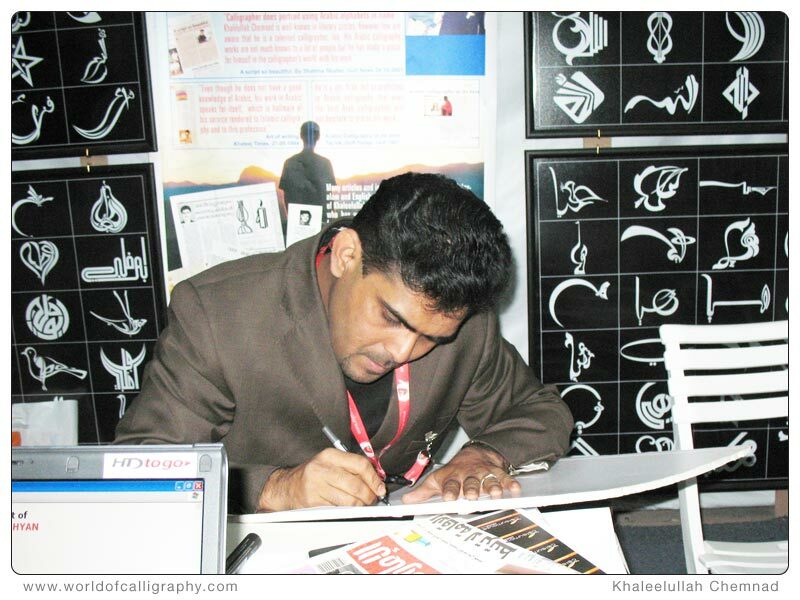 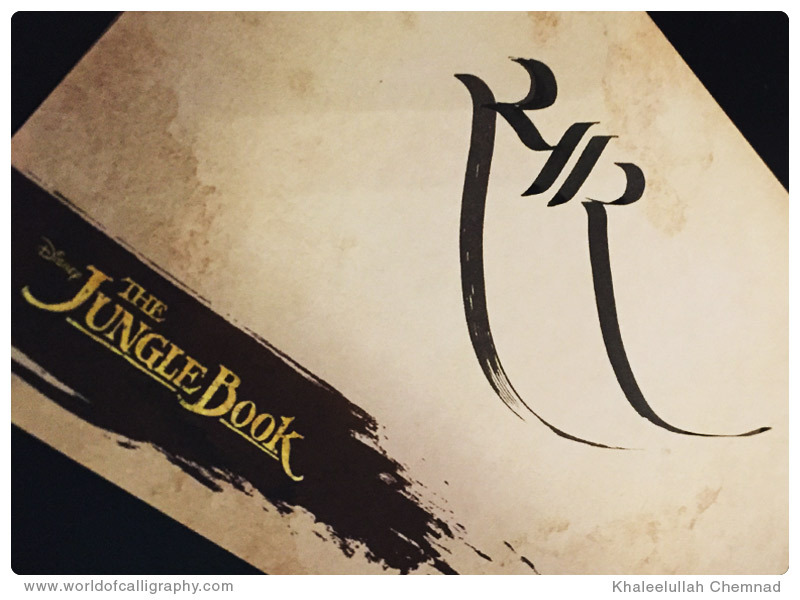 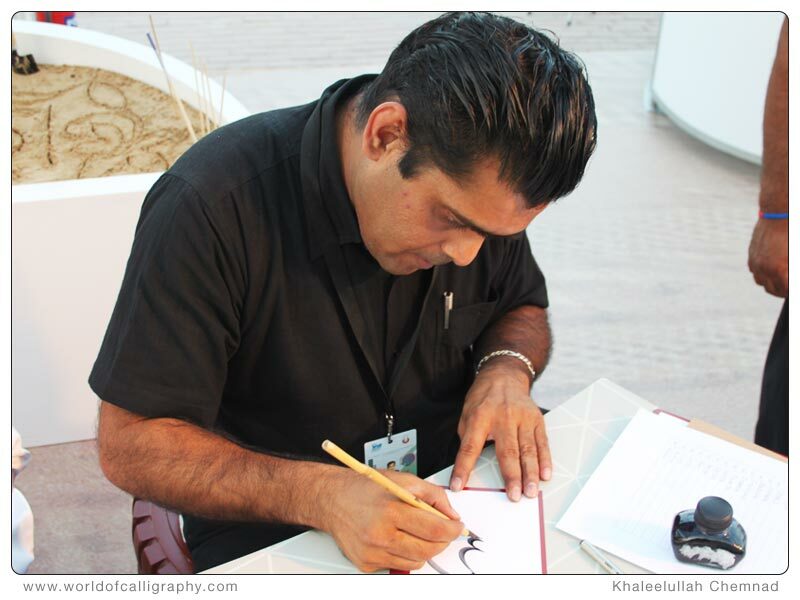 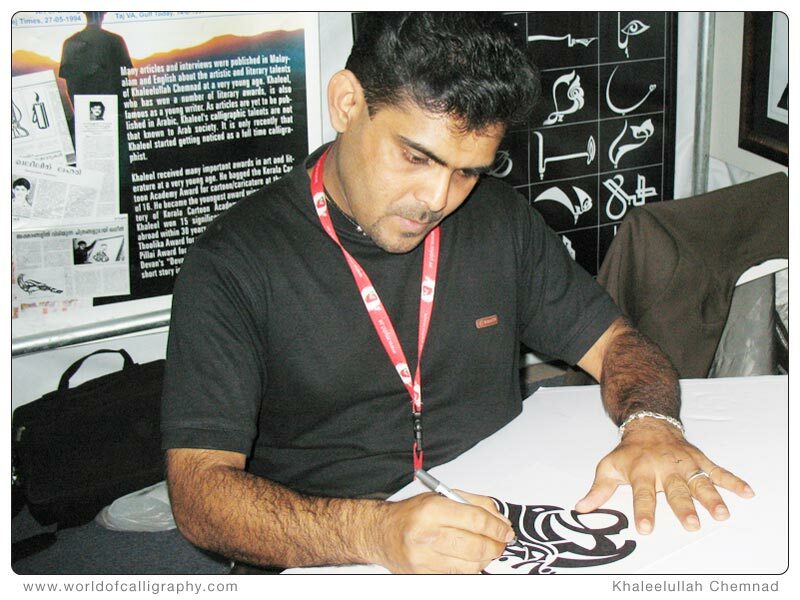 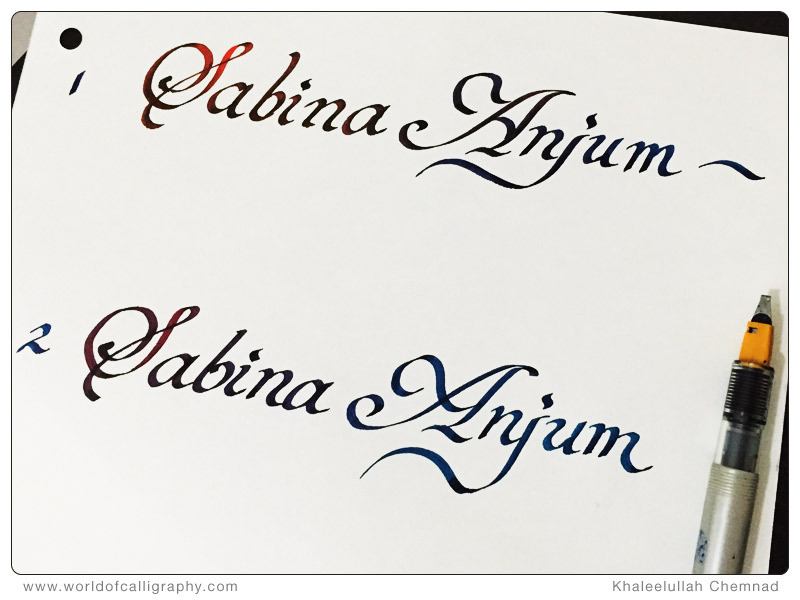 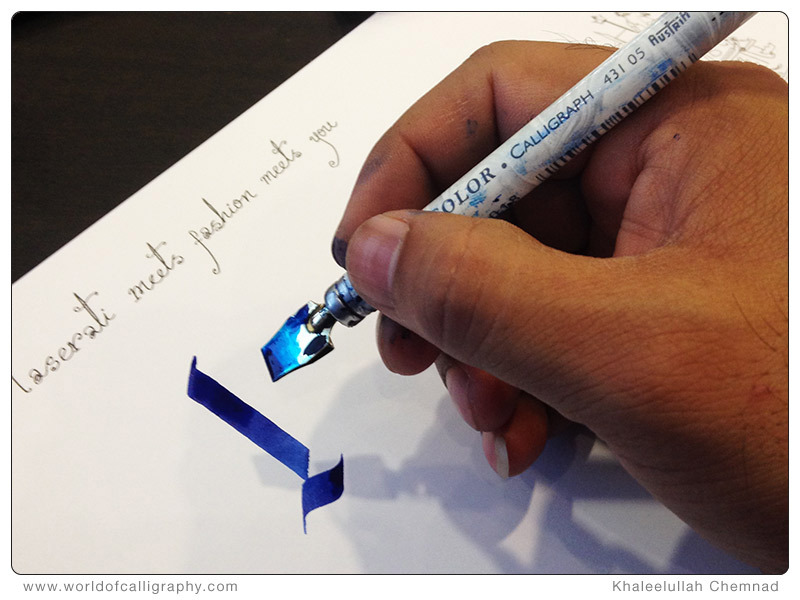 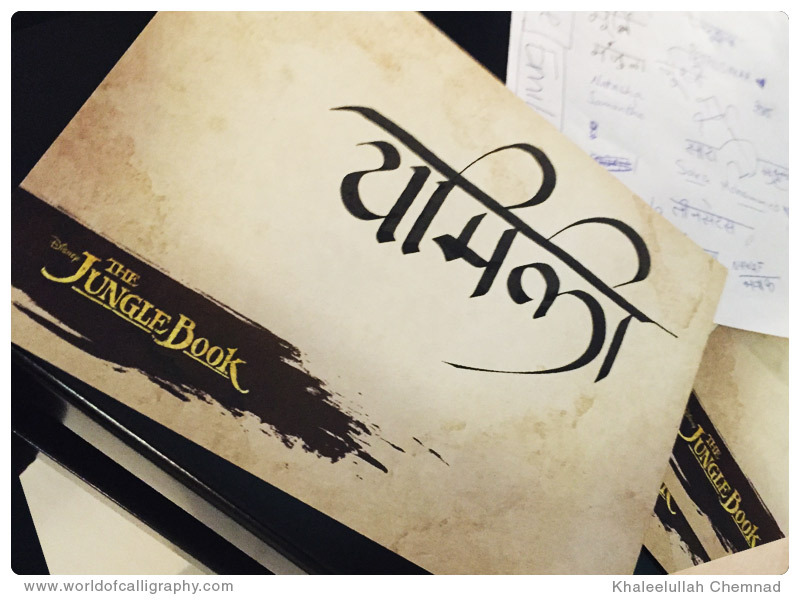 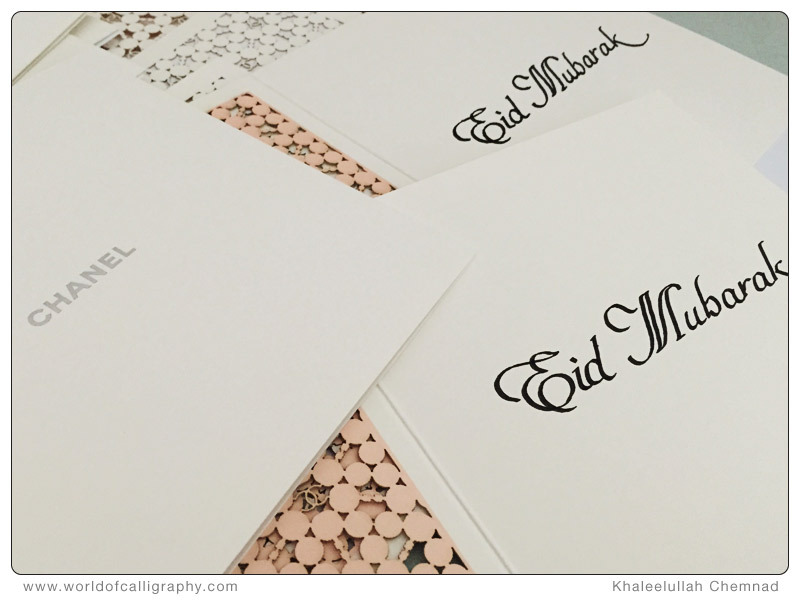 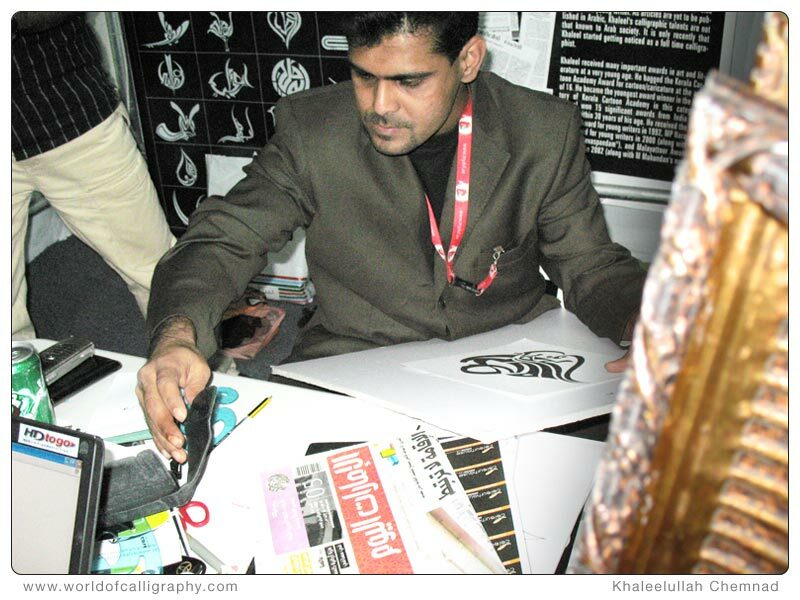 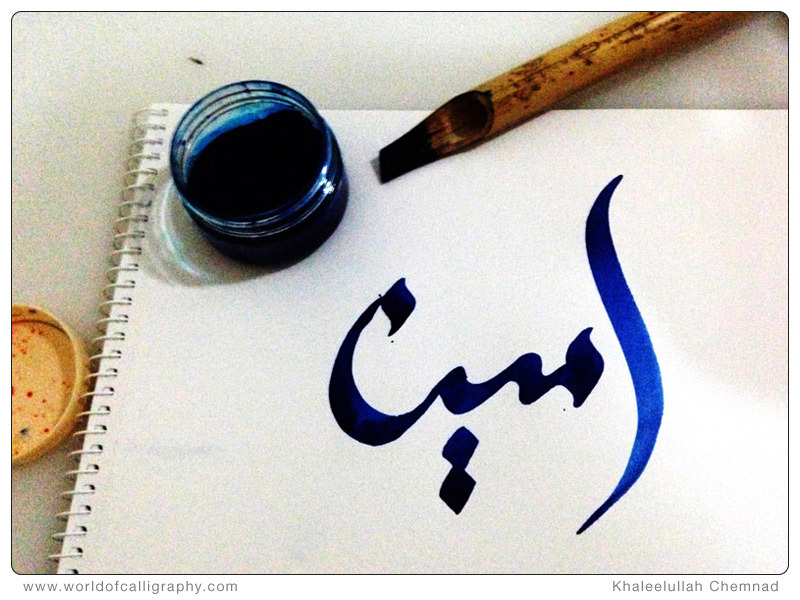 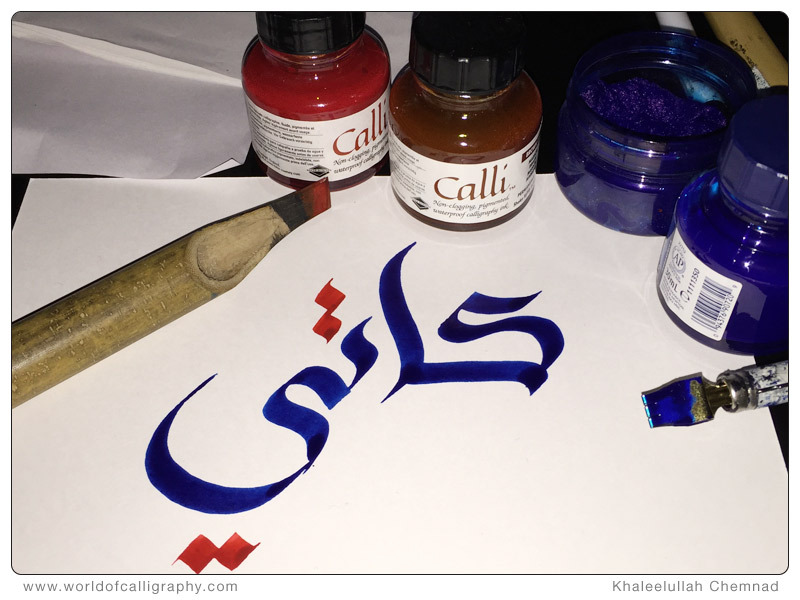 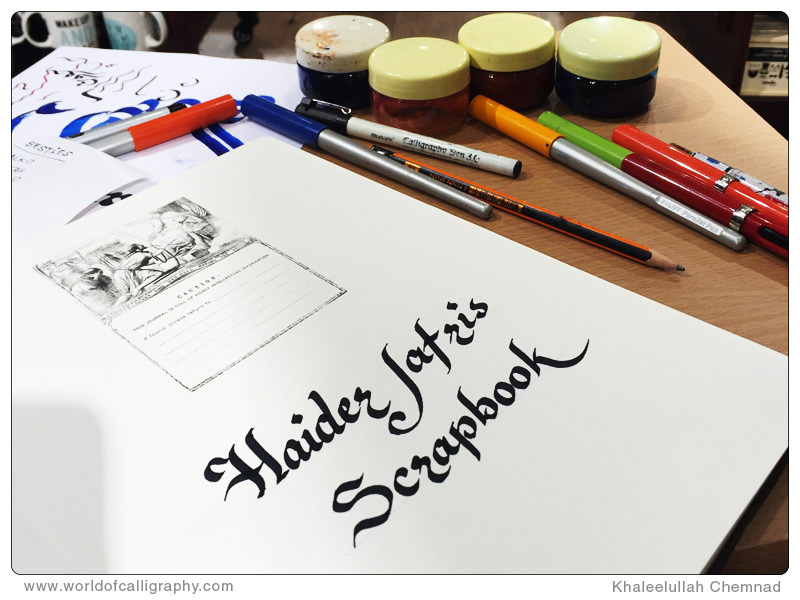 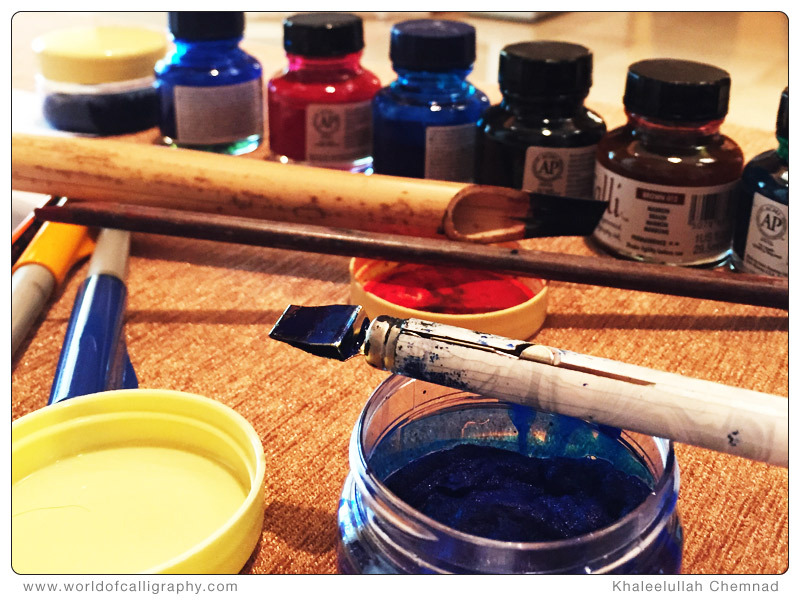 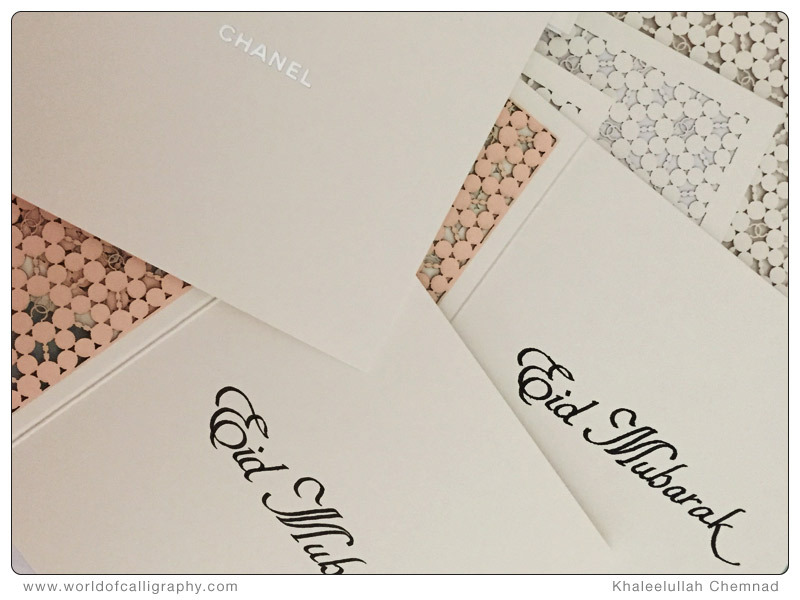 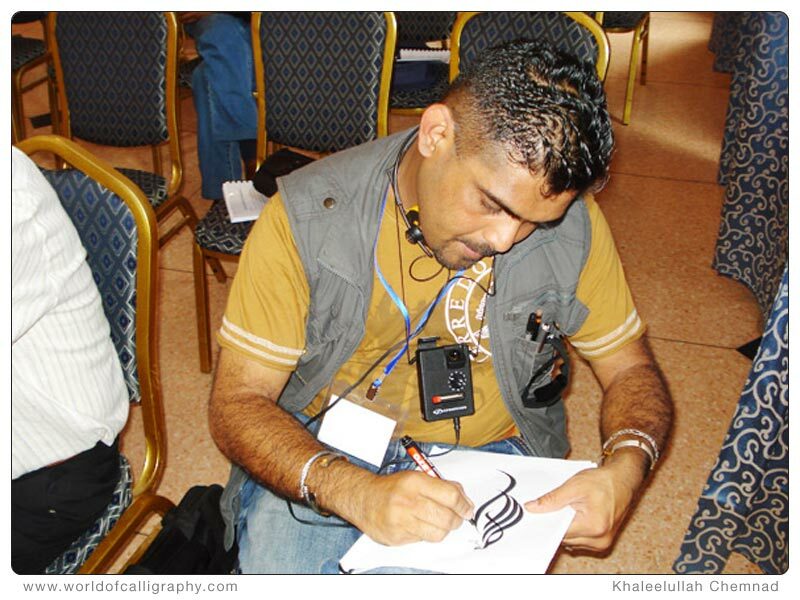 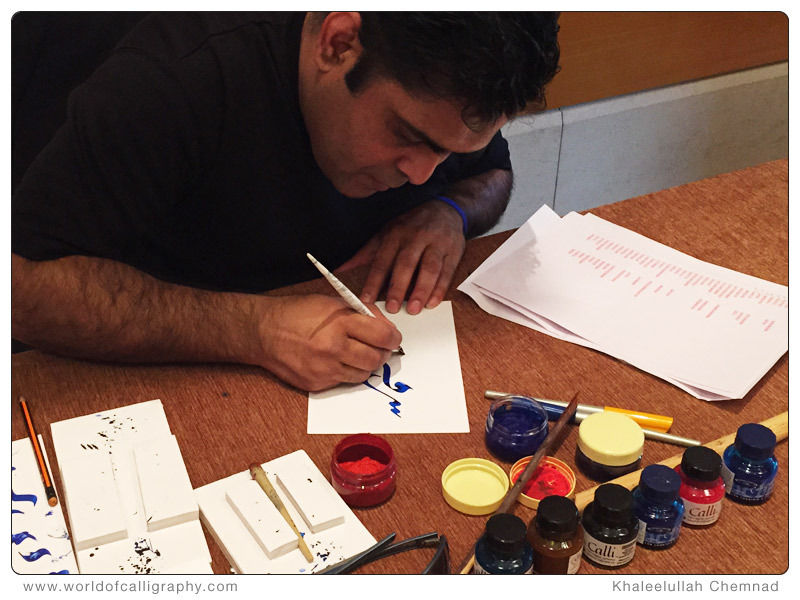 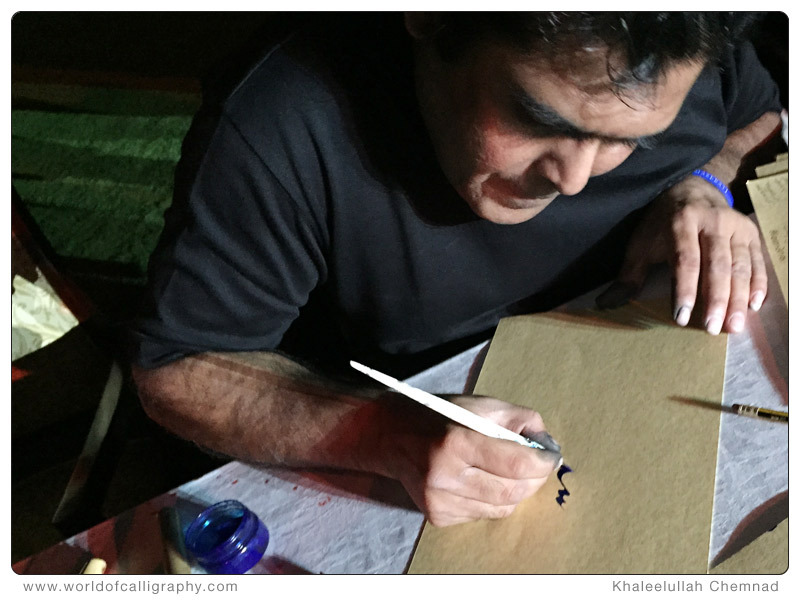 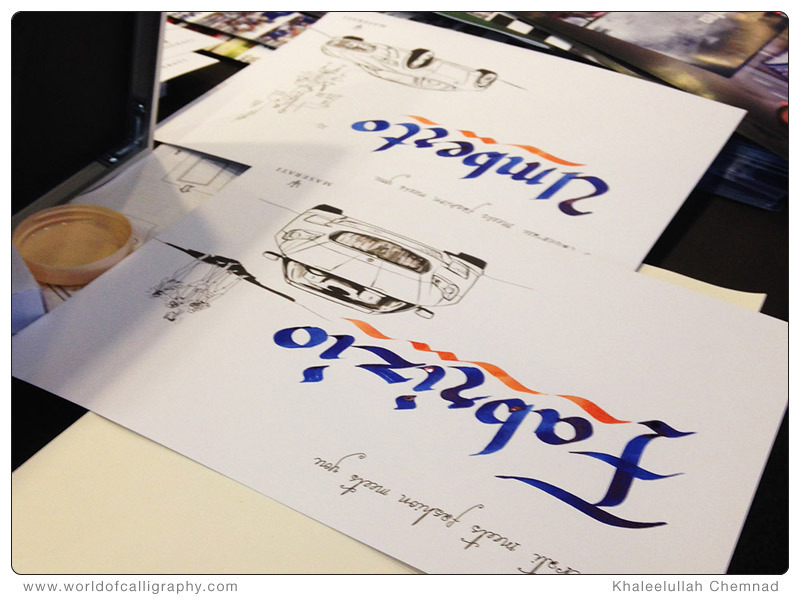 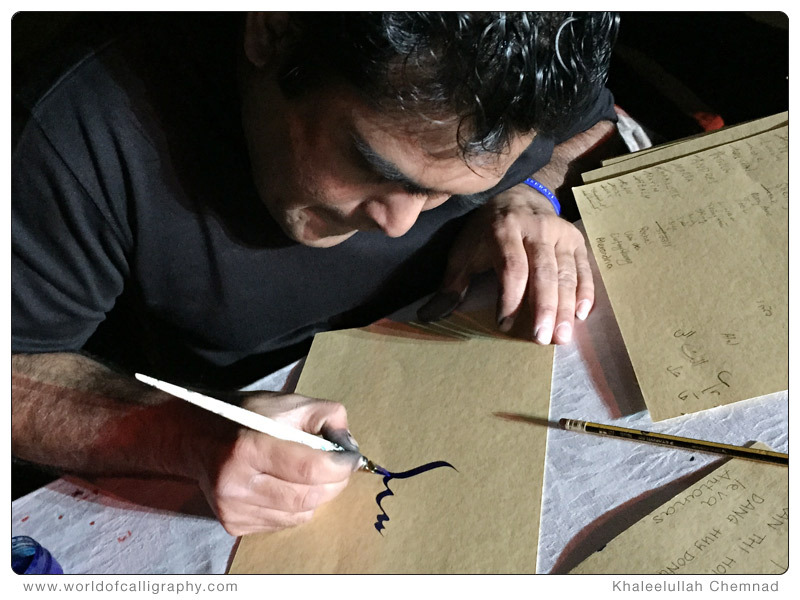 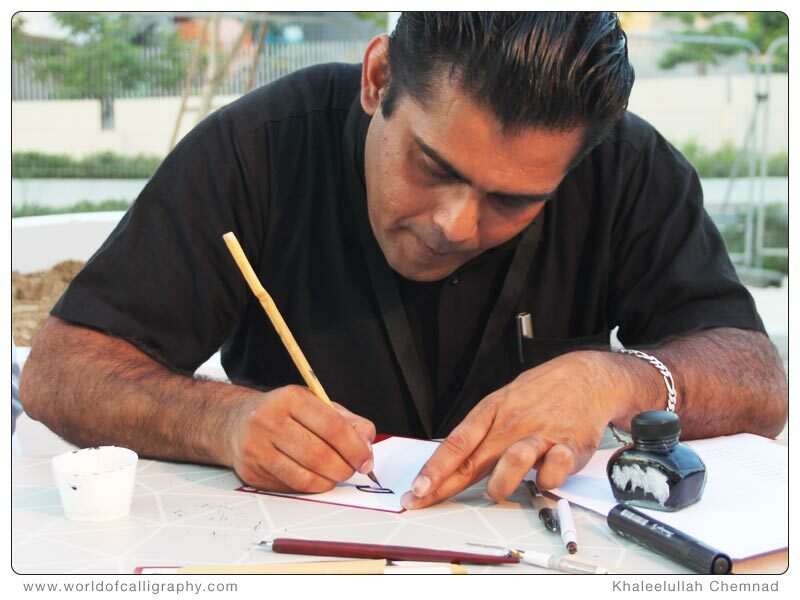 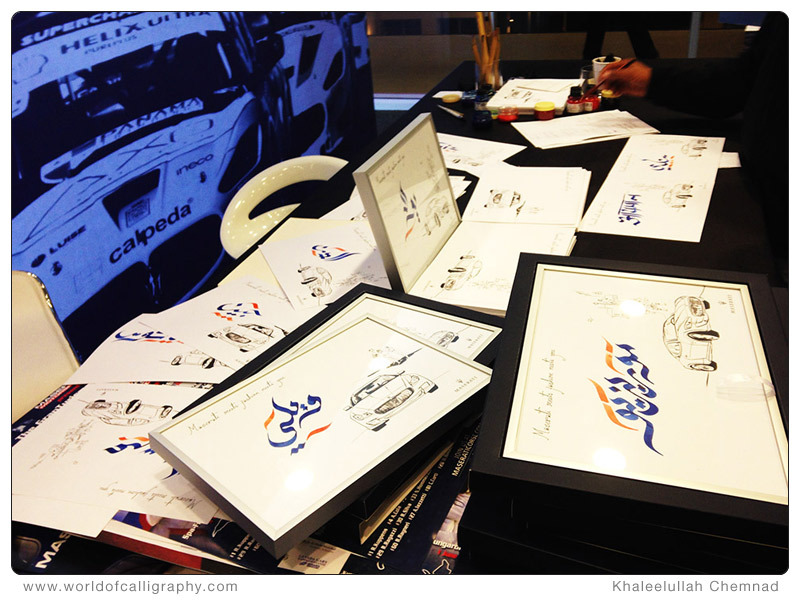 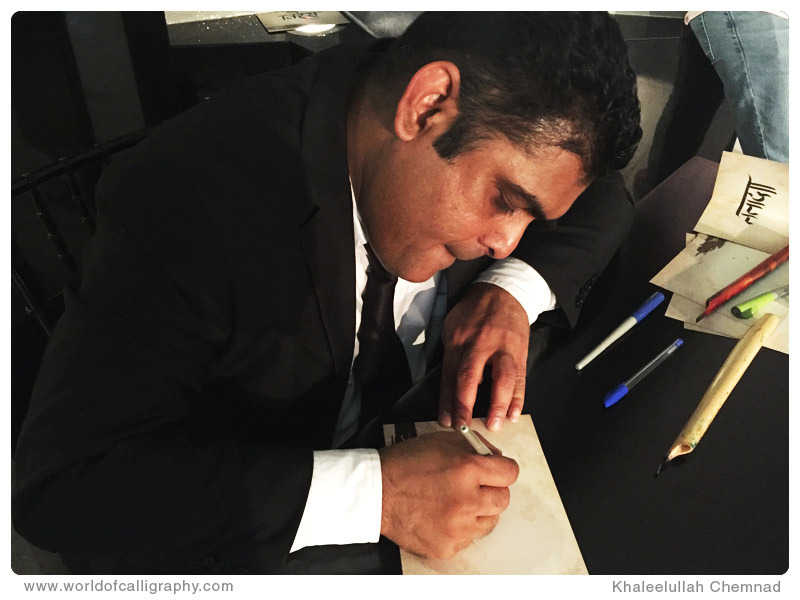 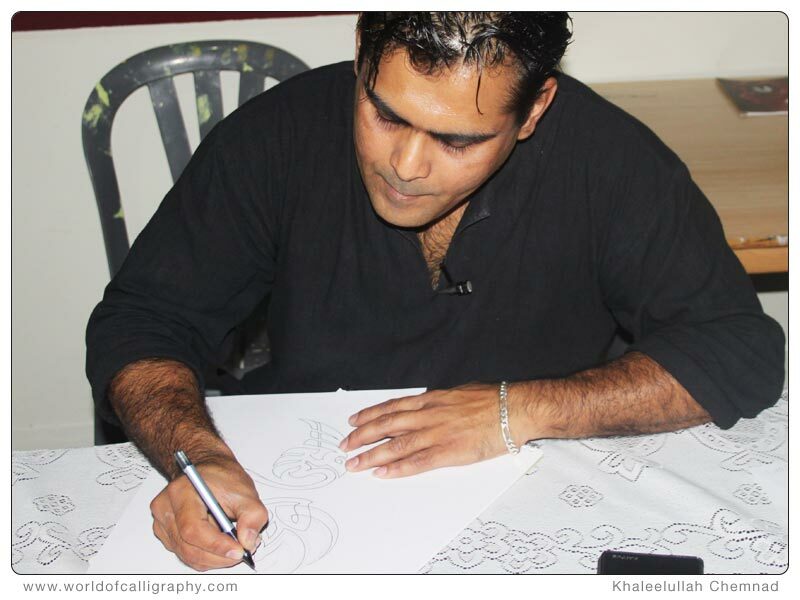 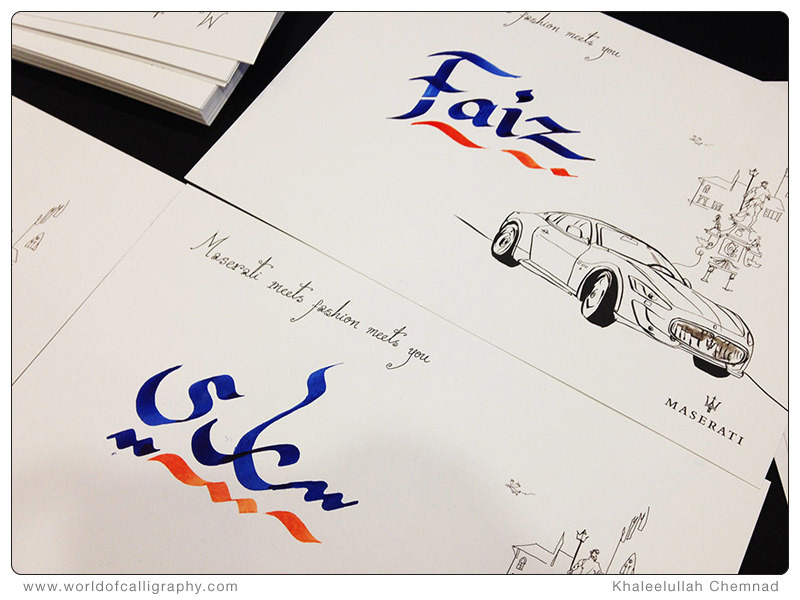 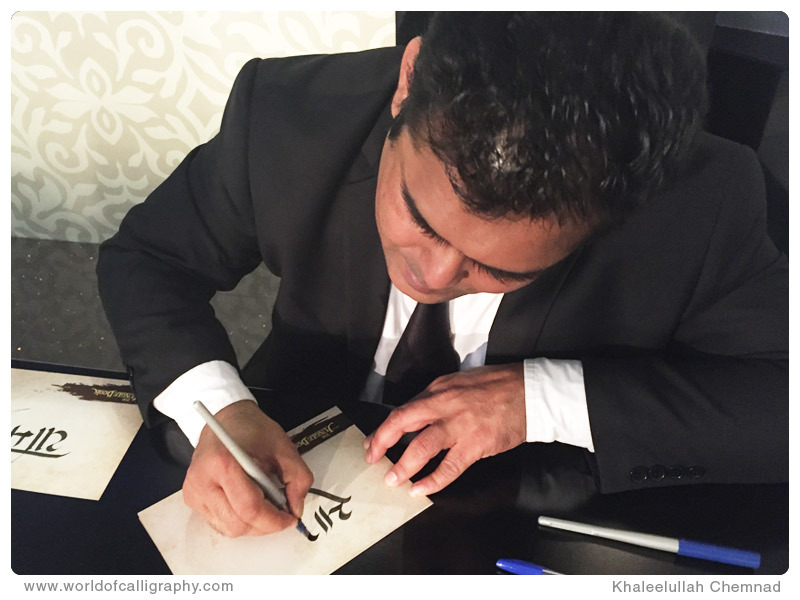 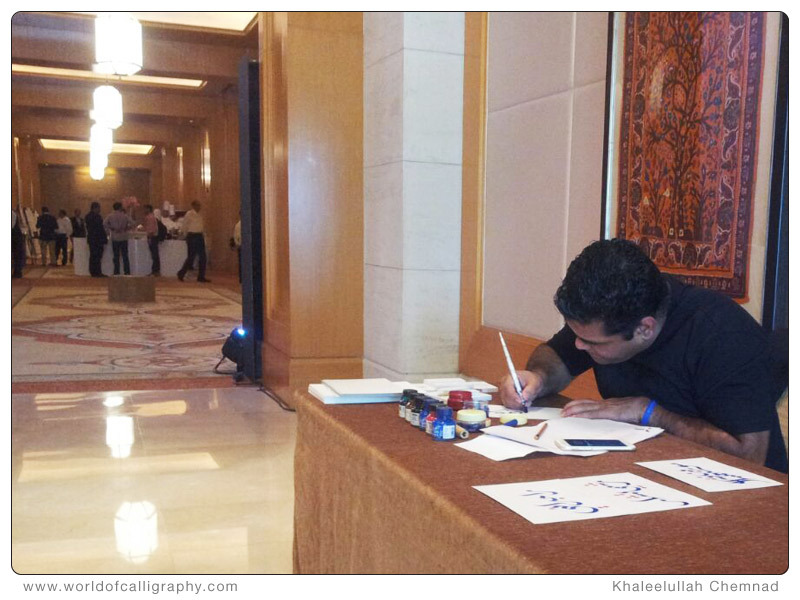 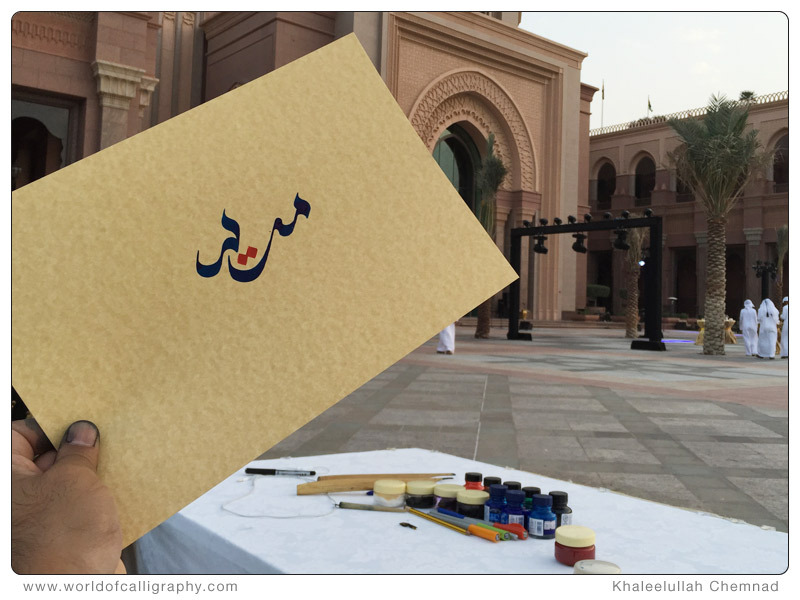 Thus coming the popularity of Mr. Khaleelullah who is using this art of beautiful penmanship.